The Trustees met at Alison’s house last Tuesday where, once safety, cash flow forecasts and work schedules had been mulled over, the major item on the agenda was as usual the task of demolishing the piles of sandwiches and cakes provided. Thank you, Alison! The following day 5643 passed its cold 14 months examination by the boiler surveyor and a steam test has been arranged for noon next Saturday. All being well 5643 will be hauling Santa Trains on the Embsay & Bolton Abbey Steam Railway on Sunday. Another big shunt took place at Preston last Wednesday which saw FR 20’s frames being placed in the unheated part of the FRT shed. 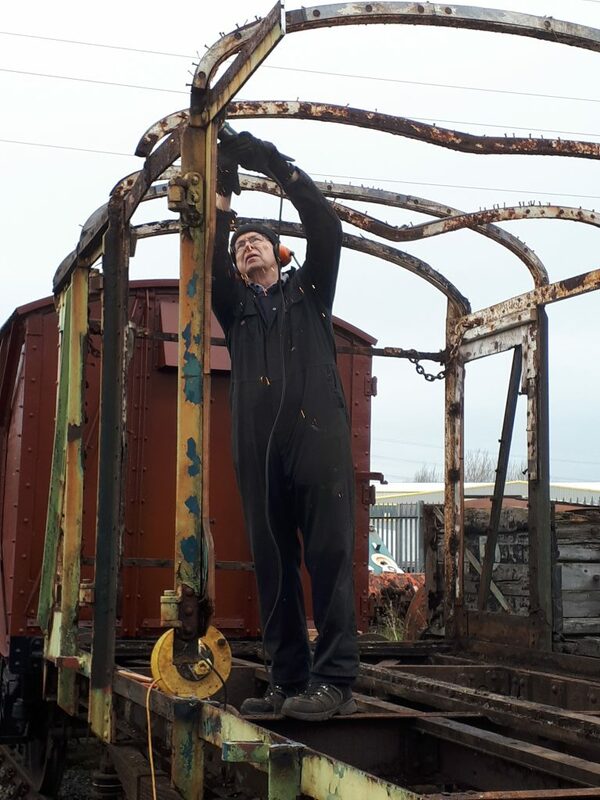 Tim spent some time wire brushing the inside of the firebox while Alan went for the cleaner task of removing the external expansion brackets. 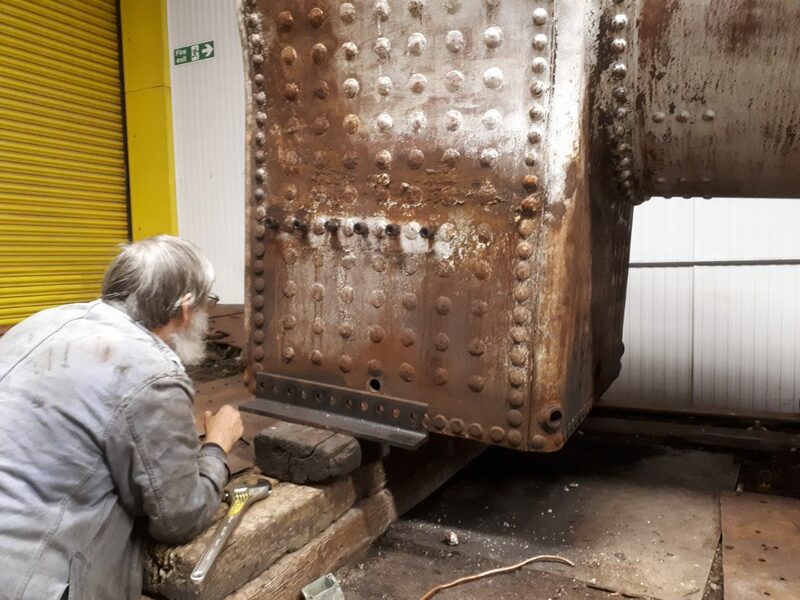 On Friday Fred started the task of wire-brushing the exterior of FR 20’s boiler and firebox whilst Roger undertook some cleaning of the frames and motion. John Davis, with assistance from Paul Newton, removed the remainder of the south cantrail on GER No. 5 on Wednesday and then on Friday moved around to commence work on the north side. There was also more work on Fluff and the riveting gang convened once again on Thursday. Outside, at the end of Wednesday John Dixon had nearly finished the task of dismantling the body on the PMV, which will then be used to accommodate the frames of FR 25 on arrival. The Furness Railway Trust is a leading railway heritage charity. Click here to visit the main FRT website.